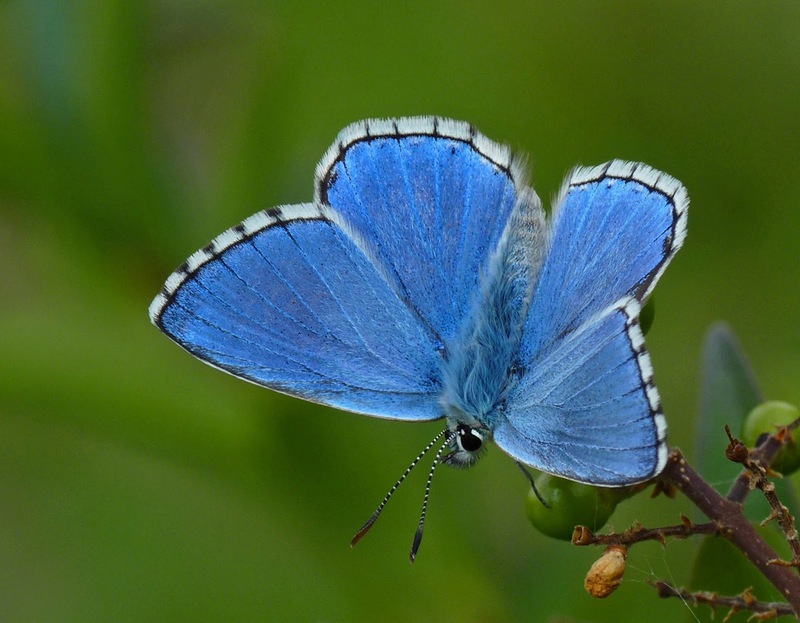 With summer on our doorstep, The Spread Eagle Hotel & Spa have created a special Adonis Blue Butterfly Afternoon Tea in support of The South Downs National Park’s butterfly conservation project. The Adonis Blue butterfly is small, very rare and named after the Greek god of beauty and desire. Their natural habitat is chalk and limestone grassland, including the South Downs National Park in West Sussex and with butterfly numbers falling, mainly due to the wet weather last summer, the Park’s conservation project has never been more essential. Inspired by the effort of the Park’s butterfly conservation project which has a specific focus on the iconic Adonis Blue - the chefs at The Spread Eagle Hotel & Spa in Midhurst, West Sussex have created the Adonis BlueButterfly Afternoon Tea. This charming blue-themed tea will be served throughout the summer months – with 10% of all proceeds being donated to The South Downs National Park project.The tea includes a selection of finger sandwiches, home-made cakes including butterfly-shaped iced biscuits, delectable butterfly cakes topped with blue buttercream, home-made scones, a choice of teas, coffee or hot chocolate. The Adonis Blue Cocktail, which also accompanies the tea, is a special tribute to the iconic butterfly. The recipe uses local Upperton Vineyard Southdown sparkling wine and local Lurgashall Mead. The Adonis Blue Butterfly Afternoon Tea at The Spread Eagle Hotel & Spa will be available all summer, at £25.50 with £2.50 going to the conservation.